When you’re looking for more from your cuppa, reach for a pot full of Zing. 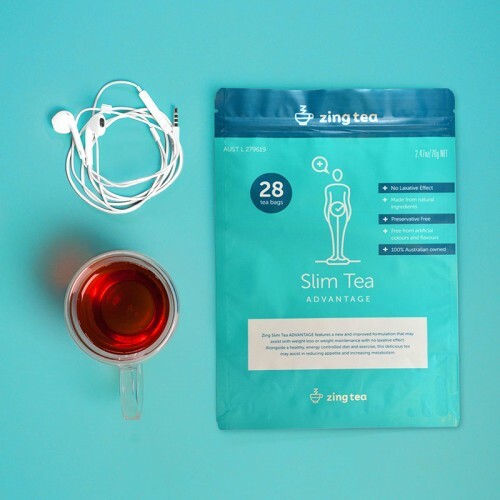 We are an Australian company producing a full range of health, lifestyle and Chinese slim teas.With slimming brews, colon cleansing teas and fragrant jasmine blossom teas made right here in Australia, there’s something for every body and every soul. Get the clarity of mind and purity of body you’ve always wanted with our selection of detox, weight loss and cleansing beverages. Whether you’re looking to maintain a healthy weight or add a bit of zip to your afternoons, you’ll find what you’re after in our health range. Using traditional Chinese medicinal practices, these slim teas are safe, delicious and effective. Our colon cleansing teas will leave you happier, healthier and detoxified. Get an all-natural energy boost, or wind down and get some restorative rest with a cup of our lifestyle range. 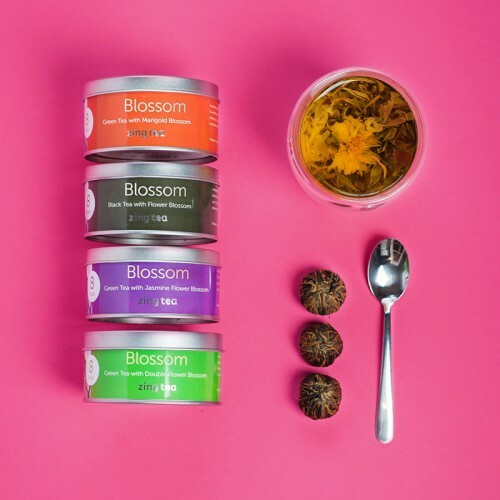 Available in a variety of delicious flavours, these blends can allow you to push through the 3pm slump and finish the day strong or breathe easier once you get home. Handmade with whole leaves and freshly dried flowers, brew a pot of one of Zing’s Chinese blossom teas and watch as it dances and blooms before you. A traditional jasmine brew that contains the immense health benefits of green tea and bursting with antioxidants, this is an experience for both mind and body. 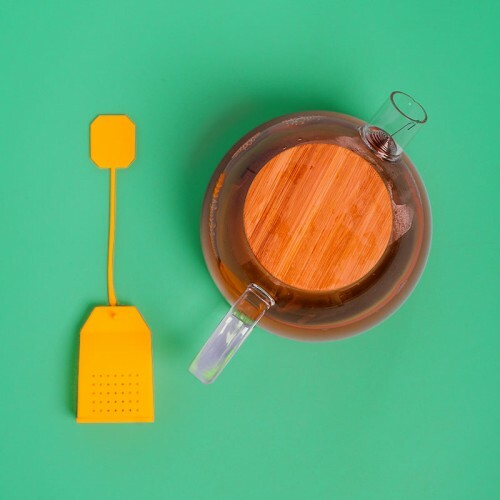 Drinking tea is not simply about the taste and health benefits, it's about the ritual of brewing and sharing. A beautiful teapot is essential to the drink’s enjoyment and we have a beautiful range made of ceramic, glass, and stainless steel. Any of these gorgeous pots and cups will be a welcome addition to your home and lifestyle. All Zing Health Tea products are registered with the Therapeutic Goods Administration (TGA). Meaning that all raw ingredients must undergo testing in TGA approved laboratories before processing. Once we receive the tick of approval, we can begin the blending process to create our unique, healthy and flavoursome teas. We blend our teas naturally, using a gentle process of grinding and fermenting. 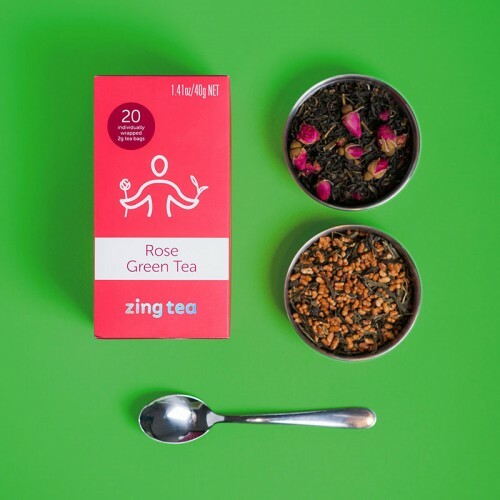 For selected Zing Lifestyle Teas, we then infuse them with natural flavours such as rose petals, fruits, herbs and spices. All blending of tea leaves and additional nutritious extras is completed in a heat controlled, sanitised environment to ensure the quality of the product is not compromised at any stage. Once we have the perfect blend, our tea is packed using the latest quality machinery. Missing that extra hour of sleep? Chasing that spark? By applying the age-old principles of Traditional Chinese Medicine (TCM) to the modern Australian lifestyle, Zing Tea helps you recharge mind and body. Our unique blend of traditional Chinese herbs and tea leaves has been refined over two decades, ensuring optimal health benefits. We believe natural holistic herbal remedies work to compliment conventional, Western medicine. Please consult your health professionals if you’re suffering ill health or are experiencing health concerns.